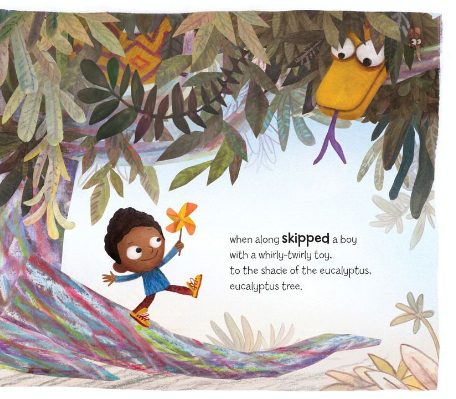 In 2014 I enthusiastically reviewed Some Bugs, a wonderfully rhyming book written by Angela DiTerlizzi and illustrated by newcomer Brendan Wenzel. 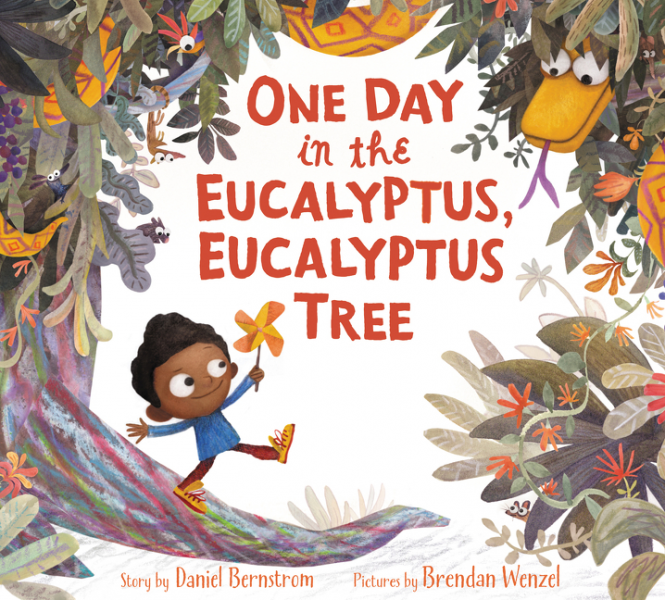 Wenzel's playful, colorful style reminded me of Eric Carle and it is a treat to see him at play again in Daniel Bernstrom's magnificently mellifluous One Day in the Eucalyptus, Eucalyptus Tree. 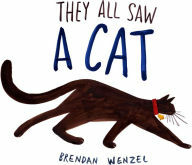 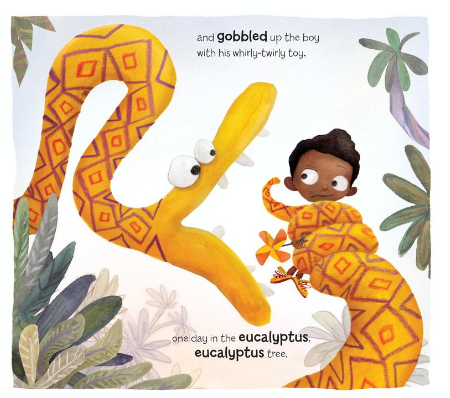 Wenzel's illustrations frolic across the pages of One Day in the Eucalyptus, Eucalyptus Tree, distracting the reader from the fact that cool kids and cute creatures are being eaten by a huge reptile. 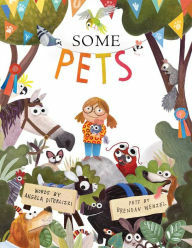 As the snake is wiggle-waggling and gobbling up a bird, a cat, a bee hive and even a adorable green "sloth covered in fuzzy-wuzzy moss," the art is as colorful as the words Bernstrom uses to tell his story. 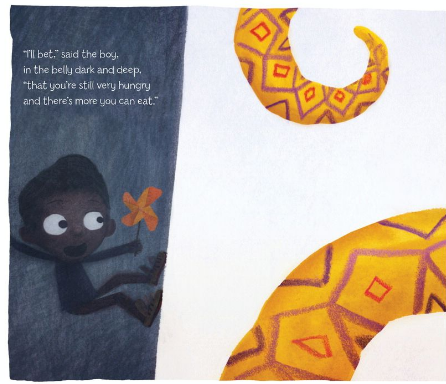 When the clever boy eggs the snake on to eat one final small piece of "plummy-chummy fruit," the teeny-tiny fly perched on the fruit proves to be the tipping point. 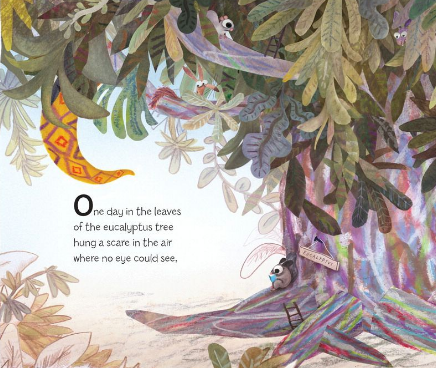 "Gurgle-gurgle came a blurble from that belly deep and full" and, well, you know how it ends one day in the eucalyptus, eucalyptus tree. 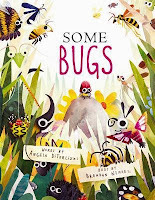 and a follow up to Some Bugs!